Hydrafacial 3 Steps. 30 Minutes. The Best Skin of Your Life. HydraFacial is an invigorating serum treatment that promotes long term skin health and can be tailored to meet the specific needs of all skin types. It offers instant, noticeable results with no downtime and no skin irritation. The HydraFacial treatment removes dead skin cells and extracts impurities while simultaneously bathing new skin with cleansing, hydrating and moisturizing serums. The treatment is soothing, refreshing, nonirritating, and immediately effective. HydraFacial is the perfect skincare solution for men and women of all ages with all skin types. Even the most sensitive skin easily tolerates HydraFacial treatment. Your skincare professional may choose specific treatment serums and customize the treatment for your unique skin conditions and needs. What parts of the body can Hydrafacial treat? 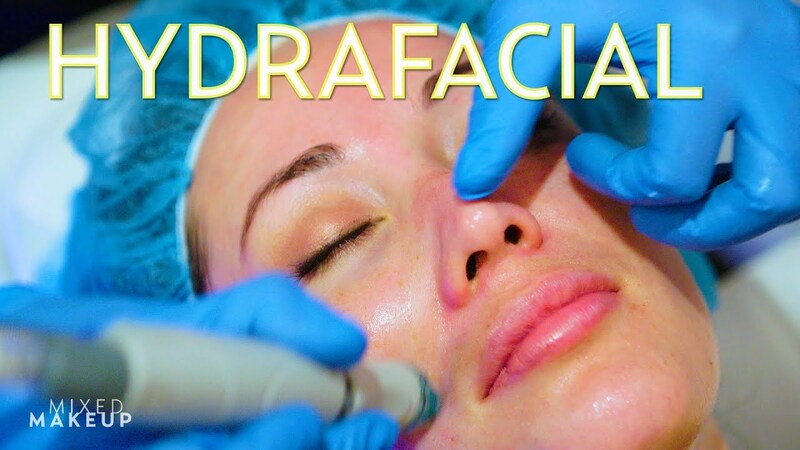 HydraFacial is a specialized treatment that addresses a variety of skincare needs. A Hydrafacial is often offered a few weeks after you've had an intense skin treatment like a chemical peel or laser treatment–or if your skin just needs a little pampering. That's why we went to LA Laser & Skin Center in Los Angeles to learn all about it and review the treatment for ourselves. What can I expect the day I receive a Hydrafacial? 3 STEPS. 30 MINUTES. THE BEST SKIN OF YOUR LIFE. Relax during your HydraFacial session as the multistep treatment cleanses, exfoliates, and extracts to get rid of impurities and dead skin cells while at the same time quenching skin with vital nutrients. You may put on makeup and return to your normal activities right after Hydrafacial treatment since there is no downtime. Do I need to follow a special skin care routine after my Hydrafacial? Your skincare specialist at LA Laser and Skin Center will give you detailed after care instructions based on your skin type and specific needs. When will I see results after my Hydrafacial and how long does it last? You will immediately see visible skin refinement and an even, radiant skin tone after just one HydraFacial session. The smooth hydration and “just cleaned” sensation will last at least seven days, but you’ll notice healthier skin long after your treatment session. One treatment per month is recommended for improving the appearance of fine lines, wrinkles, brown spots, and congested skin. Continued HydraFacial treatments are highly recommended to maintain skin health. The more often you enjoy HydraFacial, the better and better your results will be after each treatment. The following are some featured patients who have undergone a Hydrafacial procedure.